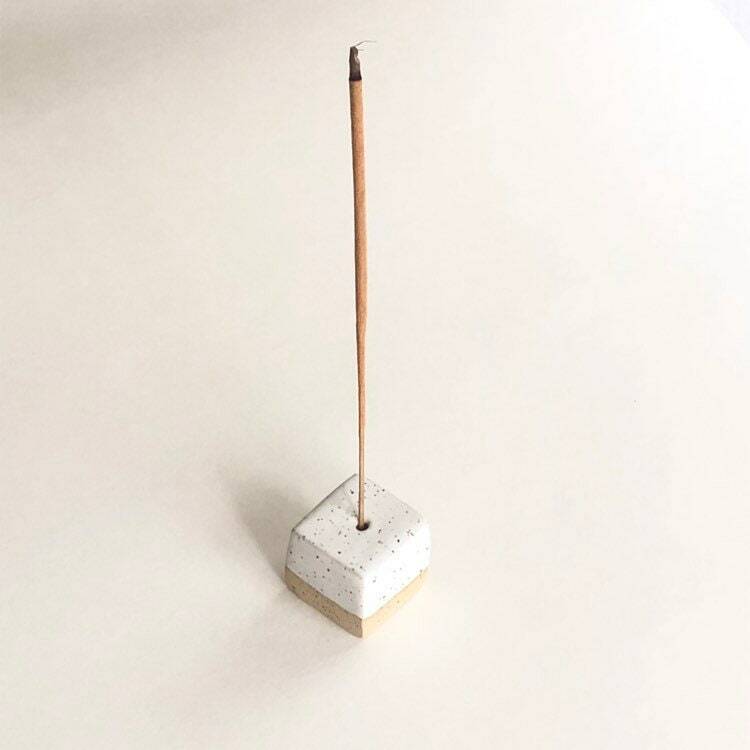 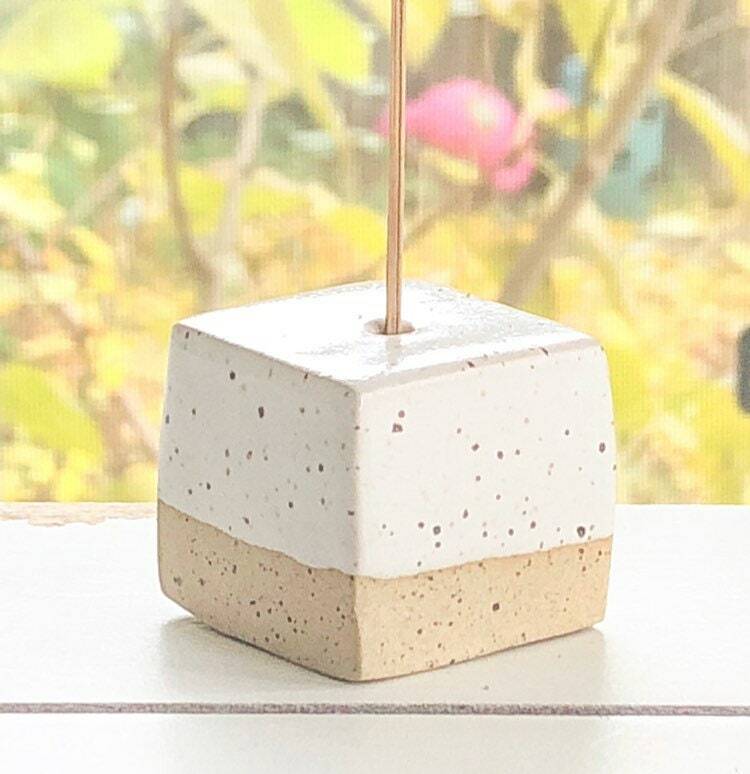 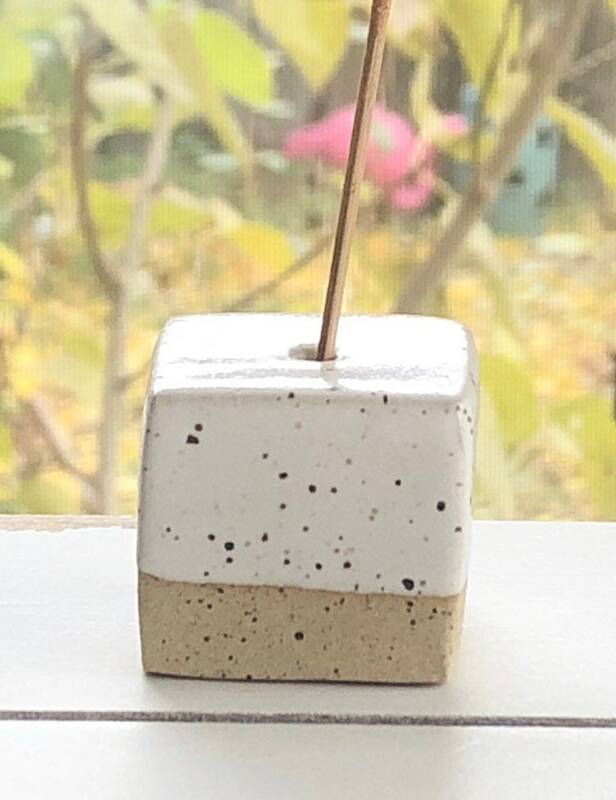 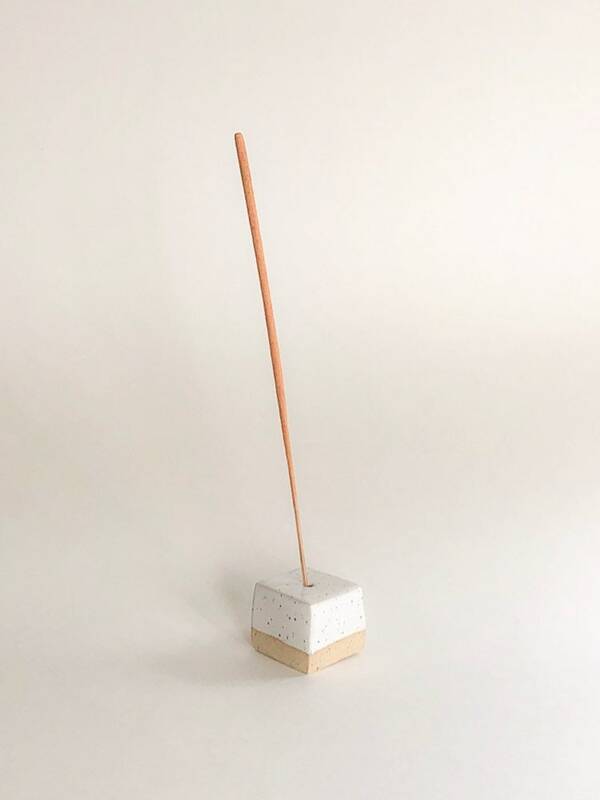 A minimal cube incense stick holder made from stoneware speckled clay with a stain white finish. 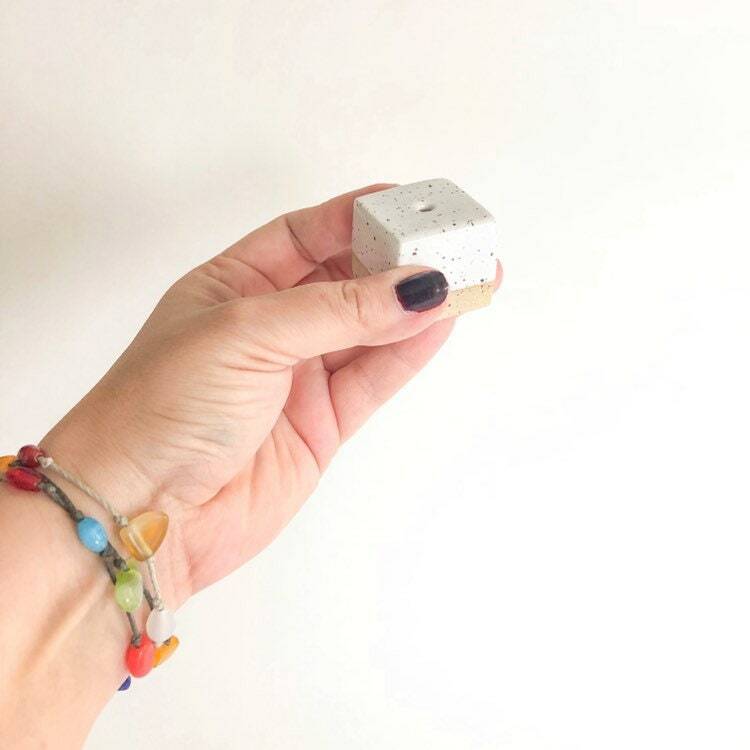 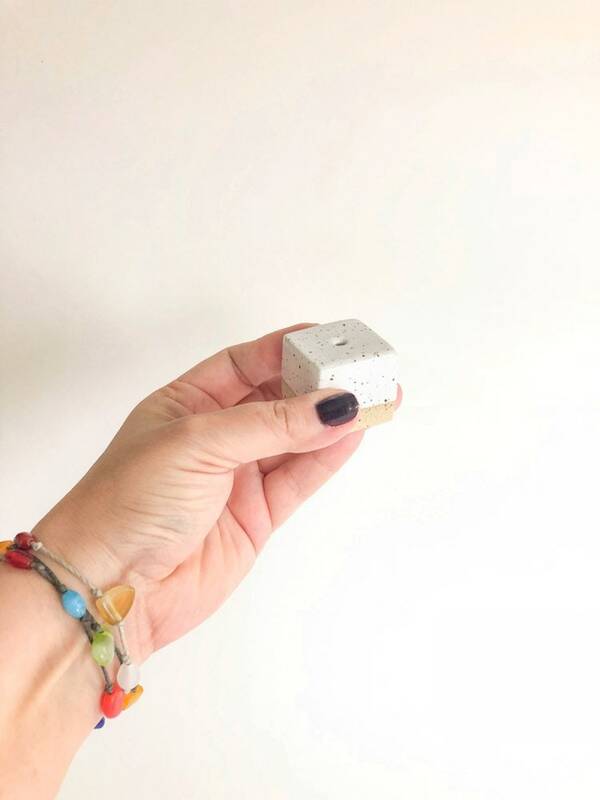 Handcrafted in Canada, these satisfyingly weighty cubes are just perfect for your meditation practice or on your altar. 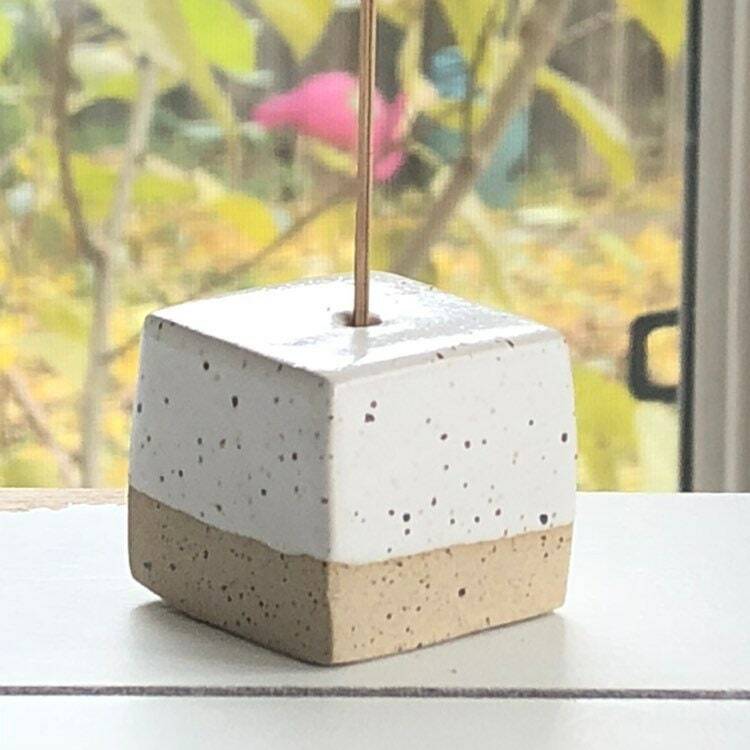 If you have any question you can message me on Etsy without hesitation.